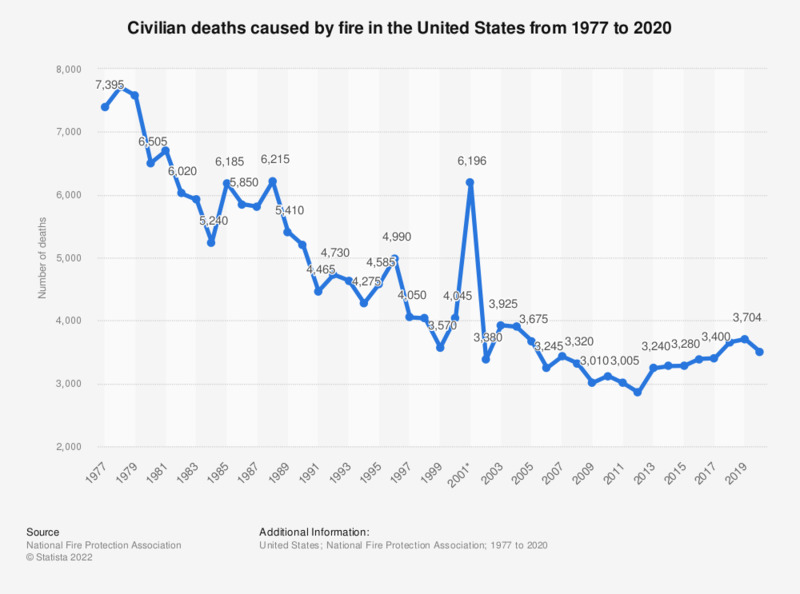 This statistic shows total civilian deaths occurred, due to fires, in the United States from 1977 to 2017. In 2017, there were 1,319,500 fires reported in the United States. These fires caused 3,400 civilian deaths. * Includes 2,451 civilian deaths that occurred from the events of 9/11/01.